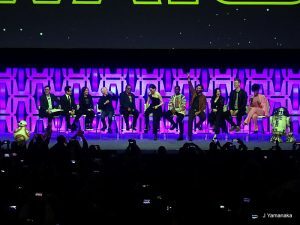 Star Wars Celebration, Lucasfilm’s biggest annual fan celebration of everything Star Wars, has alighted in Chicago this year for days of presentations, panels, merchandise sales, and more. One of the first major panels of the long weekend was “Star Wars: Episode IX” — a guarded peek at the upcoming culmination of the Skywalker Saga. 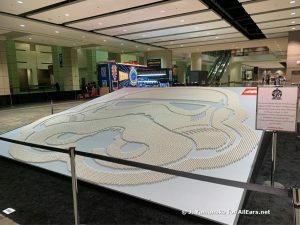 Hosted … Continue reading "J.J. Abrams, Star Wars Actors Dish About Episode IX at Star Wars Celebration 2019"
LEGO set a Guinness World Record at this weekend's Star Wars Celebration. Their record-setting achievement is a 20 feet by 20 feet display in the shape of a Stormtrooper helmet made up of LEGO® Star Wars™ minifigures! See photos here! This weekend is a big weekend for the galaxy as Chicago hosts the Star Wars Celebration. 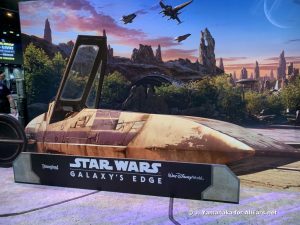 We've got a tour of the Star Wars: Galaxy's Edge booth at the event -- which includes a ride vehicle from Rise of the Resistance! Watch the video here! 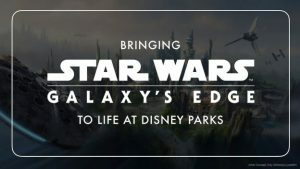 If you can't wait for Star Wars: Galaxy's Edge to open then we have good news for you! You can learn more about the new land on April 13 at the Star Wars Celebration in Chicago. Get all the details here.